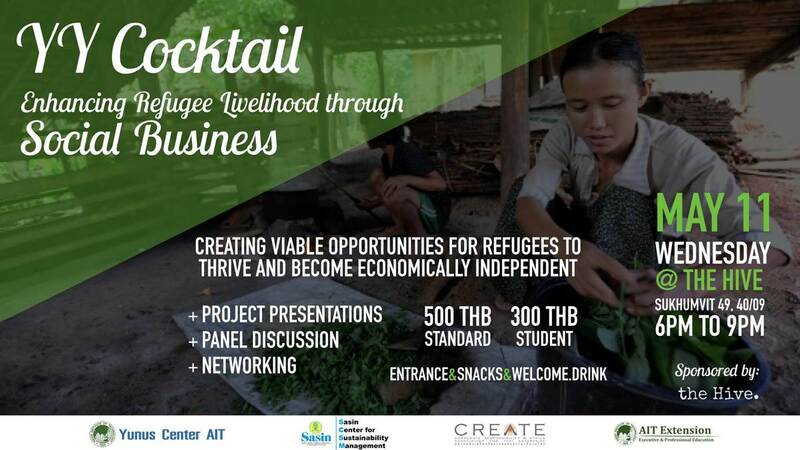 The YY Cocktail is a recurring networking experience that brings together social entrepreneurs, investors, academia, social business experts, and students to engage in discussion and be inspired about social business innovation and how it is creating a poverty-free world. "YY" stands for "Yunus & You." This edition #8 will explore how to create viable opportunities for refugees to thrive and become economically independent. Expect insightful project presentations, an alive panel discussion and lots of networking!